The Explorer’s Cup, a Toastmaster award, arrived in London carried by PMI UK Toastmaster Club members a few weeks ago. The award was created by District 91 to encourage club members to take part in leadership tasks enabling them to improve skills faster. 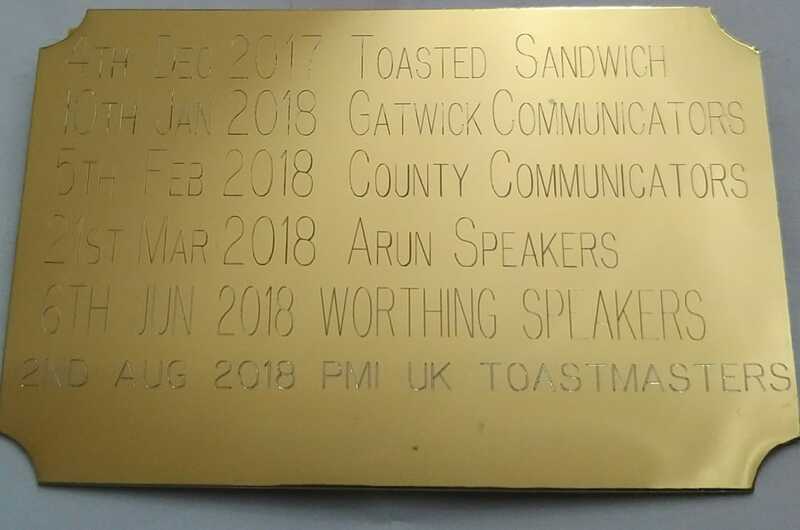 The Explorer’s Cup journey started in Sandwich at Toasted Sandwich Club followed by Gatwick Speakers, Chichester and Worthing and is now at its 4th home at PMI UK TM Club. In order to claim the trophy, Nadya Hamedi, Alexander Marcondes, Cleber Ferrareze and Ola Durojaiye travelled to Worthing and after a warm welcome by Worthing Club members (established in a beautiful seafront hotel) took on meeting roles at the host club as General Evaluator, Table Topics Evaluator and Timekeeper respectively. As part of the programme, the PMI UK TM Club is eagerly waiting to welcome the next club which will visit its venue to claim the trophy. Remember, to claim the trophy, you need 3 members to take meeting roles at the host club. Join Us for the Hall of Fame! Posted on 30th October 2016 by Vanessa King in Conference, Recognition | Comments Off on Join Us for the Hall of Fame! If you’ve been wondering whether or not to come to the District Conference on the 5th of November, please watch this message from District Director Vanessa King about the Hal of Fame. 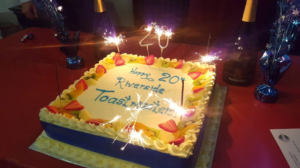 We hope you’ll join us to celebrate the achievements and contributions of our members. Congratulations to everyone in District 91. 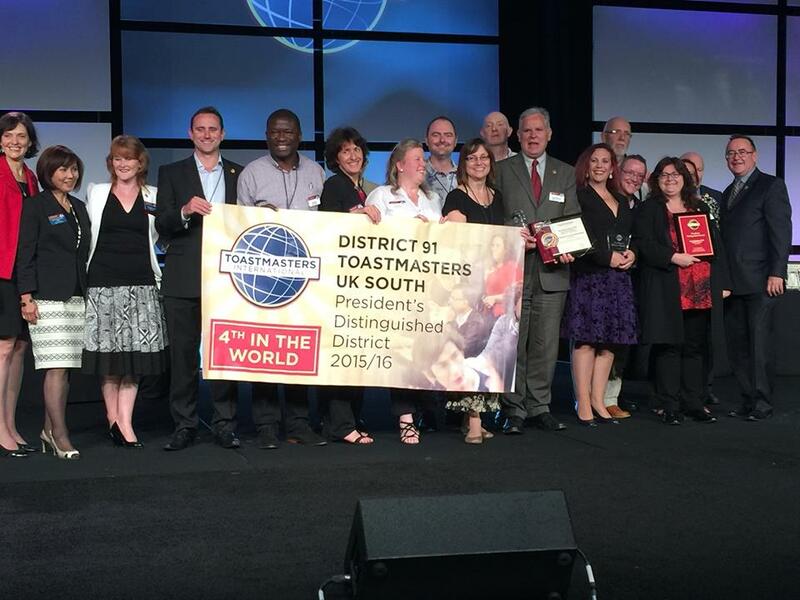 Members who attended the Toastmasters International Convention in Washington DC joined the leadership team on stage as our collective achievements for 2015/16 were recognised.